You can pry my burrito out of my cold, dead hand. 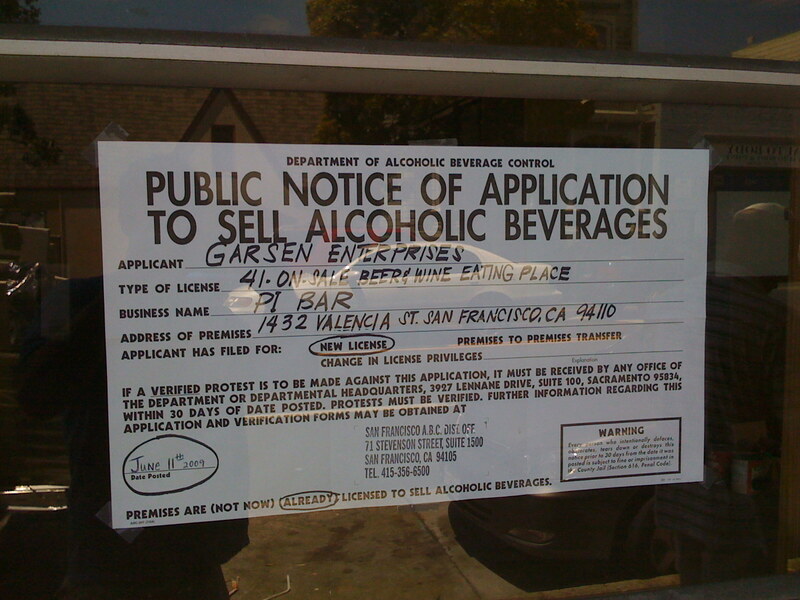 As reported on many fine blogs, Pi Bar is opening up in the old Suriya Thai place. So I don’t quite understand all the uproar over “too many pizza places in the Mission”, but hey, I guess some people get tired of complaining about too many taquerias. They had better paint something AWESOME on that door or the ghost of elephants will, um, trample upon their dough, and not in a good way. As Vegansaurus notes, stop by and tell them what you want — slices, vegan, pitchers, murals… Vive la rivoluzione (della pizza)! Math Dork Observation – the digits in the address, 1432, can be rearranged to be 3.142=∏! Font Dork Observation – ∏| ! of course I would get a notice that a pizza joint was opening up right next to my apartment on the same day I put in my 30 day notice. Hope where ever I move to has a good pizza joint… and cookies… and awesome music store. I’m already afraid we’re all getting too excited and whatever it will be can’t possibly compare to what it should be. Also, your points are good ones. It is an excellent location. Boots to Books walking tour of literary North Beach is here!